I found this dress on Rebecca's IG and knew this was pretty much what I was already looking for in a spring/summer dress! What I love about sewing is that clothing styles and fashion is open source (see this awesome TedTalks by Johanna Blakley). You can see something, become inspired by it, and make it your own. Clothing due to its open source nature is one of the most successful industries and, also for this reason, makes it the most creative and expressive industries in my opinion. I love my version of the dress and I am even more ecstatic that I also was able to tweak another existing pattern I had for my daughters dress. So with out further ado here they are! I am so in love with these dresses (if I haven't said that enough already)!!!! I am absolutely completely in love how they came out. If you are interested in making these or something similar see below for some helpful info. I had VERY specific criteria for a summer dress that I could not find the pattern to. One was a fitted bodice for smaller busts. Another was a wide strap that actually hides a normal bra. The third is wanting this all to be attached to a simple gathered midi length skirt. So I searched high and low and finally decided in order to get what I wanted I need to be a bit resourceful. Step one was finding something I already loved to work off of. Check! Then I had to find a bodice pattern as well as the fabric that would work for this project as well. 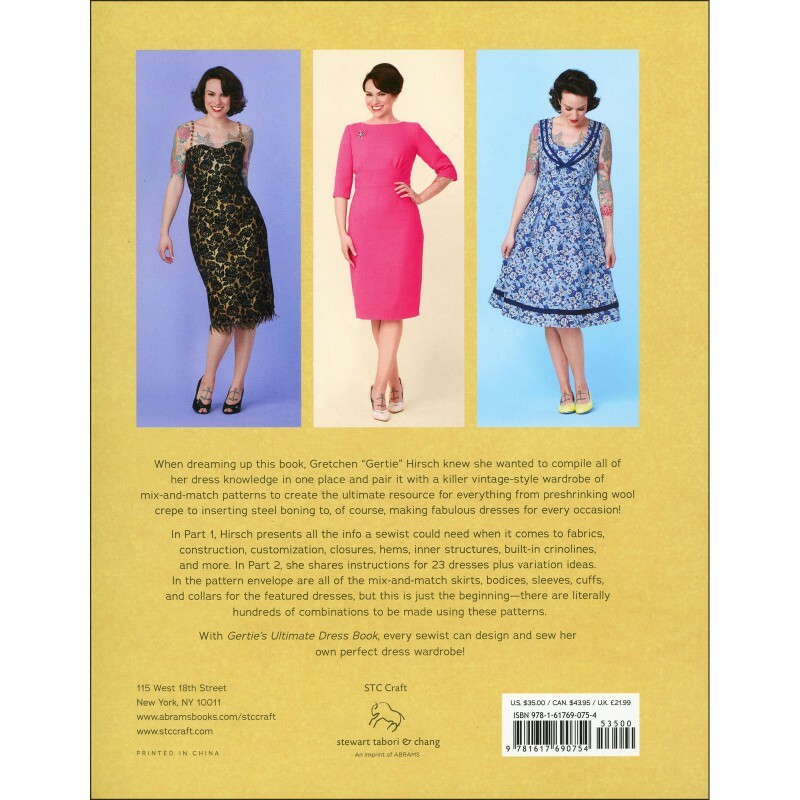 Then I searched for a pattern with the specific bodice I was look for and hit the jackpot when I found Gertie's Ultimate Dress book at the library! I transferred the bodice from the pattern onto parchment paper so that I could later return the book and pattern to the library. I had to really size down the bodice because even when following my sizing it was still way too big. But I finally made a muslin that was my size that I could trace and get the desired results. At first I wasn't even going to make my daughter one but then I realized how much fabric I would have left over from this project and thought why the heck not! The difference in the mini dress for my daughter was the I only attached one ruffle, instead of two, and the back bodice pieces are folded over each other instead of installing a zipper. The fold over method is a lot easier in my opinion and you could always add buttons instead of Kam snaps to make it more grown up looking. Keep in mind that my daughters version isn't fitted and because of this the fold over method would not work with the fitted adult version. We got hips to think about! Also keep in mind that you would need to add length to the back pieces of the bodice so that there is room to overlap. I hope you all feel inspired to make these dresses or something like it. Or maybe just inspired to begin sewing! As always I would love to hear any questions about this dress that you may have!